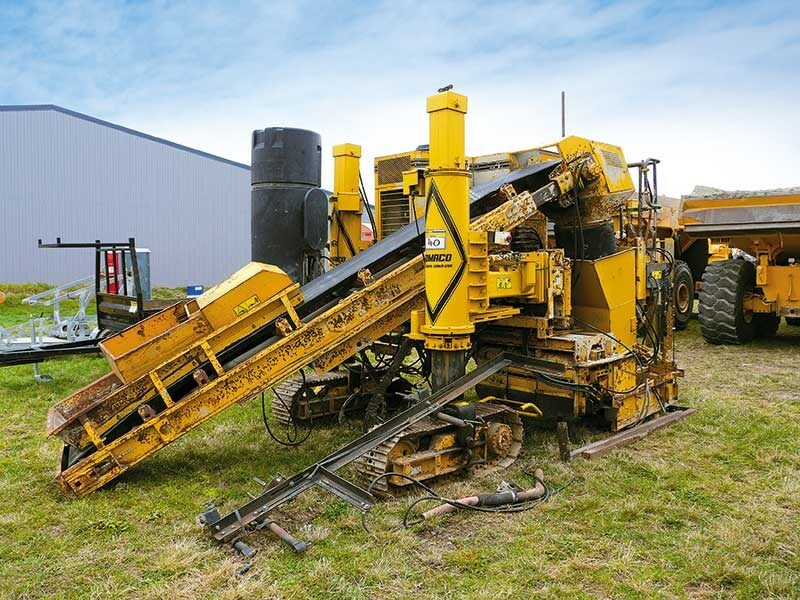 It’s been a little while since the last machinery auction was held in Canterbury, and newcomer Global Auctions has gotten a few industry tongues wagging. Most readers will be familiar with the Global Tractors brand. 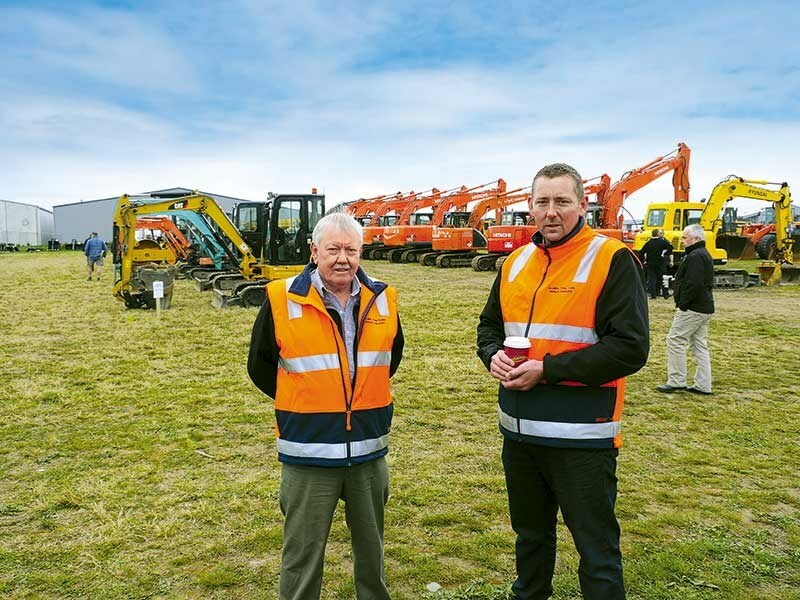 It was set up by father and son duo Stewart and Marc McSkimming some five years ago; the pair being well-known as experienced dealers who source and supply equipment primarily for the construction and quarrying industries. 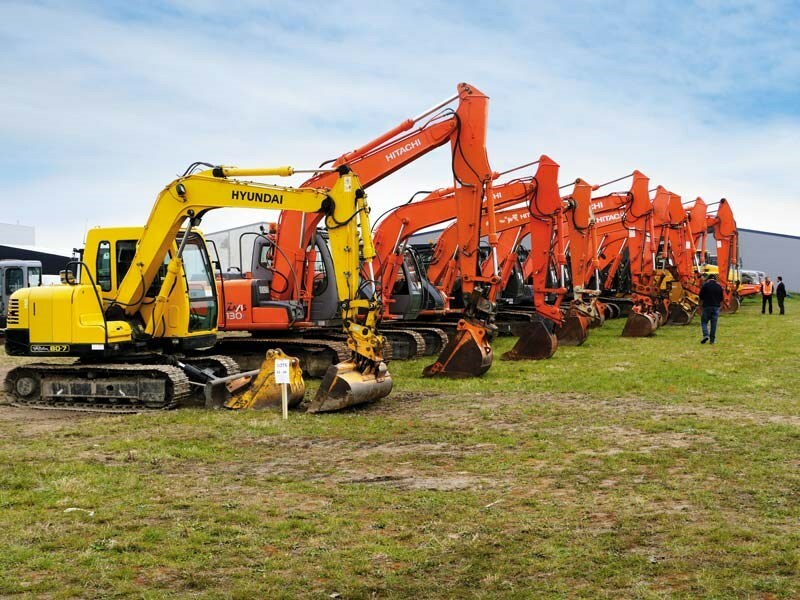 While not only keeping up with the demands of their busy Global Tractor obligations, the intervening years have seen the two branching out into machinery valuations, and now the world of live auctions. "We’ve been in the equipment supply industry a long time prior to setting up Global Tractors and were familiar with the selling-by-auction process, so I guess it was inevitable that we’d end up here eventually," Stewart says. However, as Stewart puts it, they weren’t looking at getting into the auction business so quickly, and it wasn’t until they realised that it was a market they knew well. 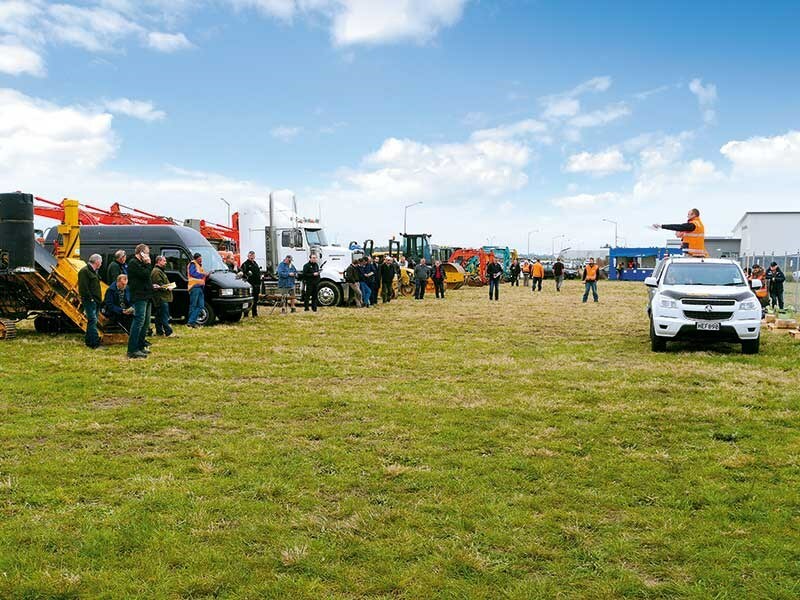 "We’re guys with a passion who understand the New Zealand market and feel we reflect the values that would help keep an auction local and personal," says Marc. "So we put our ‘money where our mouth is’ and obtained our auction license." 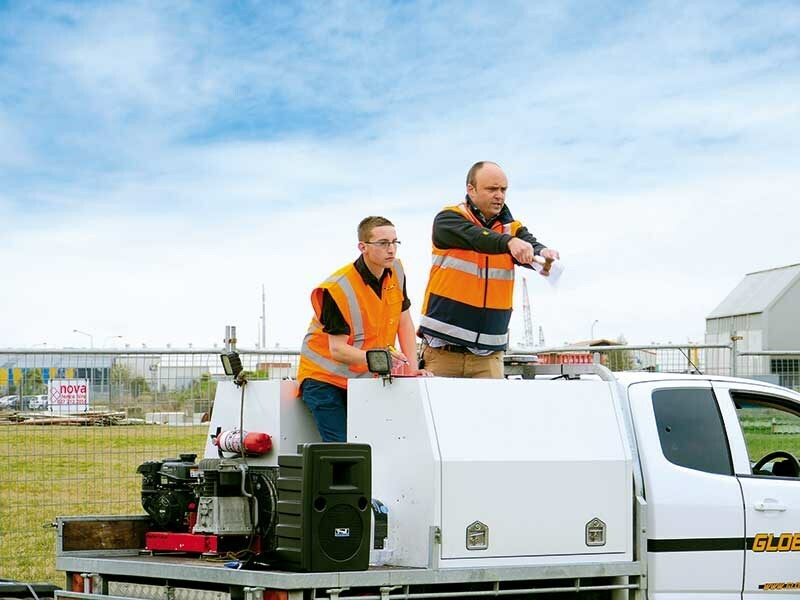 Fast forward six months and Global Auctions held their first live auction and DOW turned up to watch the proceedings. "Our target was to have 80 lots for sale, and we have 84 pieces of plant," says Marc. The McSkimmings say that coordinating the event had been a reasonably straightforward exercise, and they didn’t come across anything unexpected. "I guess with our past experience, we knew what to expect and where potential roadblocks could be." One has to admire the amount of organisation required to pull off an event like this. 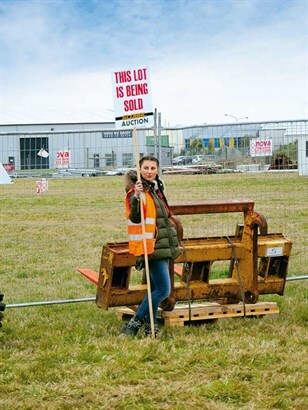 Not only is there the equipment to be sold but there is also the land required to hold the auction, on-site security, and a host of other details—right down to the auctioneer, and the person holding the ‘This Lot Is Being Sold’ sign. "At the end of each day, we’d check our list and ensure everything was going according to plan," says Stewart. "Right at the top was security, so we had static guards keeping everything safe and that will continue on even after the auction finishes. "Even though we aren’t obliged to provide this level of security, we feel that there is a moral obligation to look after our sellers and buyers," Marc adds. It seems that looking after customers extends through to the commission structure set up by Global Auctions. Anecdotally we are told that other auction companies have a combined buyers’ and sellers’ fee that equates to something like 15 percent of the selling price, whereas the McSkimmings say that the Global Auction’s seller and buyer’s premium adds up to a combined 7.5%. "A few percentage points probably doesn’t sound much, but we’d be charging you around $5,000 to sell your $100k machine and most other auction places would be getting close to doubling that," says Stewart. Getting back to the subject of setting the event up, the McSkimmings say that the only hold-up experienced was the weather low that brought heavy rains to the region while everything was being delivered to the auction site. "We had a couple of inches of water over most of the yard, but with everything booked, we couldn’t stop the transporters arriving with all the gear," Marc says. Fortunately, a roller on-site was able to tidy up any track ruts and the site had long returned to normal by the time auction day came around, which despite being cold and overcast did not deter the punters who turned up looking to spend. 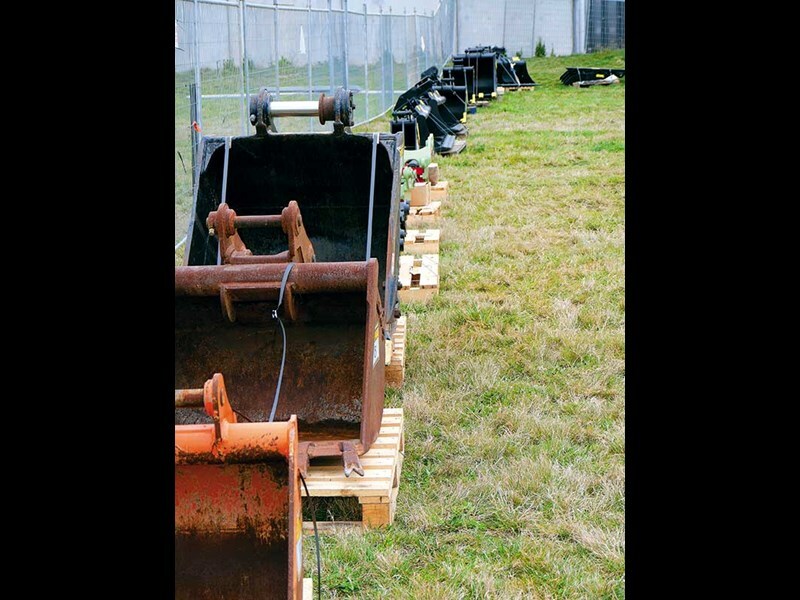 There was a bit of tension in the air as the auctioneer got down to business, although some thoughtfully placed no-reserve pieces of smaller equipment encouraged the banter and things settled down to a good pace as the sales proceeded onto more no-reserve buckets and attachments. As Marc McSkimming strode past a gathered group of bidders, he murmured a light-hearted: "This is where Marc’s tension levels rise." He need not have worried however, as bidding was keen; the smiles of satisfied buyers indicating that they had purchased what they were looking for, and at the right price. 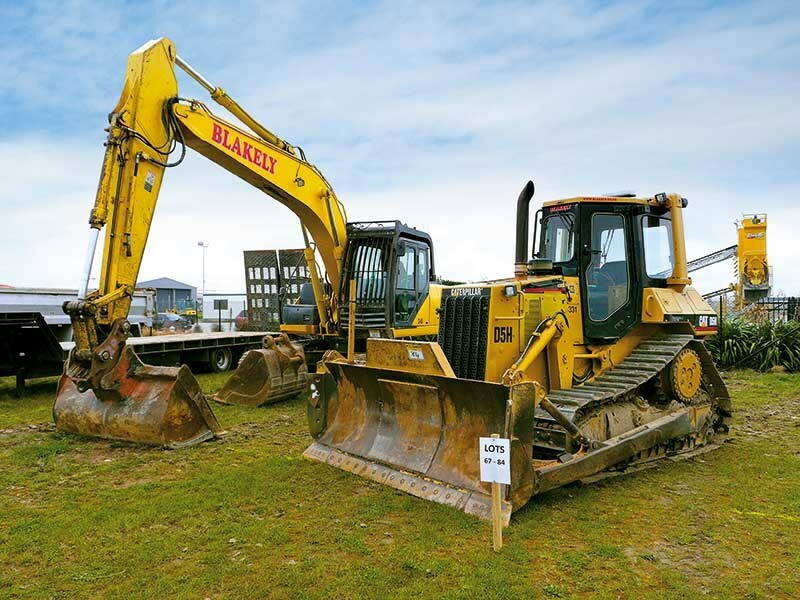 It was not too long before the first of the excavators came to the attention of the crowd, and it took a while to move through the lengthy lines of parked machines as they awaited new owners. By mid-afternoon, things had wrapped up and the auctioneer’s hammer signalled the close of the last sale. 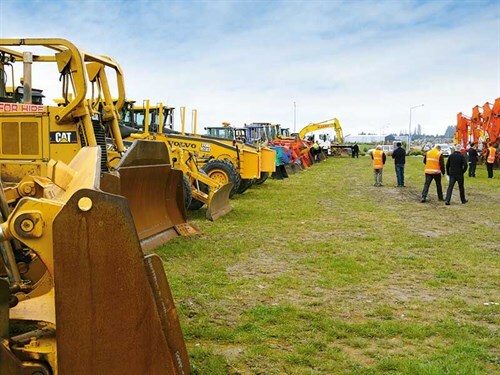 It also signalled the successful conclusion of Global Auctions’ first auction, and an initial post-game report saw 63 of the lots successfully passed onto new owners, with negotiations underway for a number of others. "We’re pretty satisfied with how things worked out, and I think we’ve got a good template to work with into the future," Marc says. It’s certainly no mean feat to organise something on the scale that Global Auctions has done but the general consensus is that it was done well.